… some DIY and some Etsy love. This year we moved from Hawaii (our home for the past 5 years) to the Eastcoast and with the seasons changing fast I’m starting to feel a lot like Christmas. 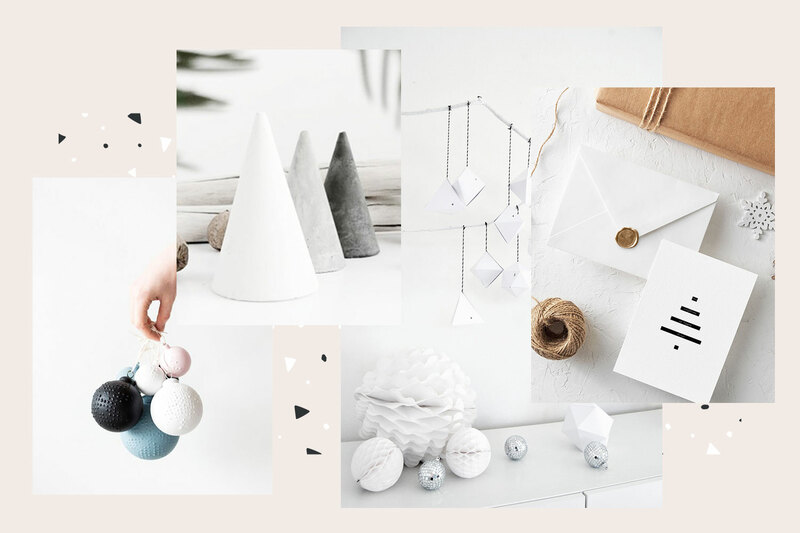 So, this felt like the perfect time for some inspiration on some beautiful and cozy minimalist Christmas decorations! When it comes to minimalism, geometric designs are just my glowing Kryptonite! So I was extra stoked to have found this awesome tutorial by The MerryThought. Their geometric ornaments are simple enough to make an entire tree’s worth in an afternoon, but they’d also look gorgeous when tied to the front of all of your gifts this season or integrated into a simple wreath design. Oh, and by the way, they sourced the geometric shapes on Etsy, making this DIY quite the hybrid on this very merry list. What would this jolly good season be without any trees? Am I right?! Well this tutorial by the fabulous Fiddle & Spoon will make you want to get your wood saw out before you can say gingerbread cookie (well, uhm technically that’s a long word and also she is actually using a cutter knife but who’s counting reindeer… ) And I just love how she finished them with a simple geometrical design. These will truly rock any minimalist Christmas. Welllllll… technically my shop is not on Etsy (yet!) and this is a little bit of self-love but I promise you won’t regret giving my Christmas Collection of minimalist illustrations and typography art a little lookin’. All of them are digital downloads which means your creativity is the limit. Hang them up on the wall (Maybe next to those gorgeous wreaths? ), gift them to your other loved minimalists in your tribe or use them to make gorgeous gift tags or greeting cards. Now you may be like me where sometimes you are looking for something with a little bit more edge and outside the box. Don’t worry, I got just the thang for you. This incredibly creative idea of upcycling old baubles by fall for diy is nothing short of genius. They instantly transform any old Christmas classics into modern minimalist tree ornament that make a really cool statement on any tree. I am sure we all have seen a lot of minimalist Christmas tree decorating ideas by now, but this uber-modern one ditches the “tree” altogether. Blogger Nalles House used wooden dowels, white lights, and paper ornaments to create this updated Danish Filigrantrae. While we are gonna stick with the genuine greenery in our living room, this is a fabulous idea for small apartments, guest rooms or any place you want to add a bit of holiday cheer without caring for another tree – office space cheer anyone?! Now there you have it… some fabulous new inspiration for making your own Christmas just merry and minimalist. Whether you dig DIY or prefer yourself some good old online retail therapy (or a bit of both), I hope this inspired you very jolly indeed. 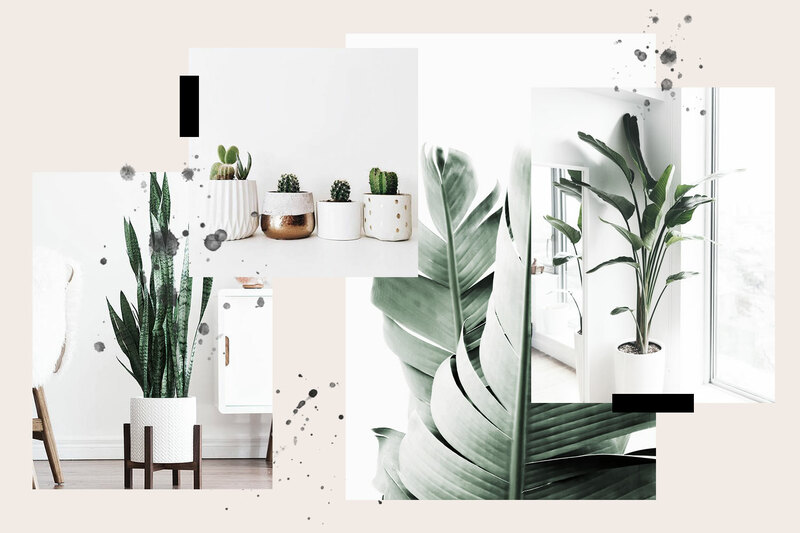 Oh and PLEASE, if you have links and tutorials to share, comment below because even for a minimalist, there is never too much inspiration flying around!!! Find beautiful art prints right here in my little store. PS: My name is Judith and this is my little slice of the internet. I hope you’ll enjoy hanging out with me from time to time while I ramble on about design, art and of course, lots of romantic minimalism. Which art wall type are you?